Talent Management Today: Is High Potential Passe? Many companies use the term ‘high potential’ to describe a certain set of employees that they believe have the potential to move onto more significant leadership roles within the company. A recent survey finds that this term is not used by the majority of companies and is losing favor. The term ‘high potential’ is fraught with problems. It is vague. It is hard to define. It can cause animosity from very talented employees who are not deemed to be ‘high potential’. 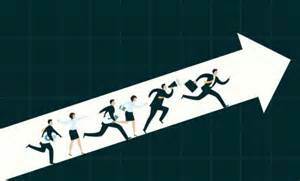 With the need for a wide variety of talent to make a high performing workplace, it’s important for companies to invest in employee and leadership development in a variety of ways so that the entire workforce is increasing it’s capabilities in ways that benefit both the company and the individuals. To read more about mine and others thinking on this topic, read ‘High Potential’ Term Losing Luster in HREOnline. http://nextbridgeconsulting.com/wp-content/uploads/logo-2-new_lngc2.png 0 0 nextbridgeconsulting http://nextbridgeconsulting.com/wp-content/uploads/logo-2-new_lngc2.png nextbridgeconsulting2014-06-26 08:00:032016-12-25 04:53:23Talent Management Today: Is High Potential Passe? Too many meetings What’s It like to Join your Company?